A stain on a wedding dress is one of the most frequent types of wedding emergencies. Fortunately, there are many solutions! Sprinkle talcum powder liberally over the stain on your wedding dress. Wait about ten minutes, then shake the excess off. The solution to getting ink out is hairspray, believe it or not! Test the hairspray out on a discrete portion of your wedding dress — perhaps the inside of the hem — before using it on the stain, as hairspray may mark the fabric. Put a cloth behind the fabric, then spray the ink stain lightly. Wait five minutes, then dab gently with a damp cloth. If the blood is still wet, moisten a cotton swab with your saliva (or the saliva of the person whose blood it is), then gently rub it over the stain. It should come out. 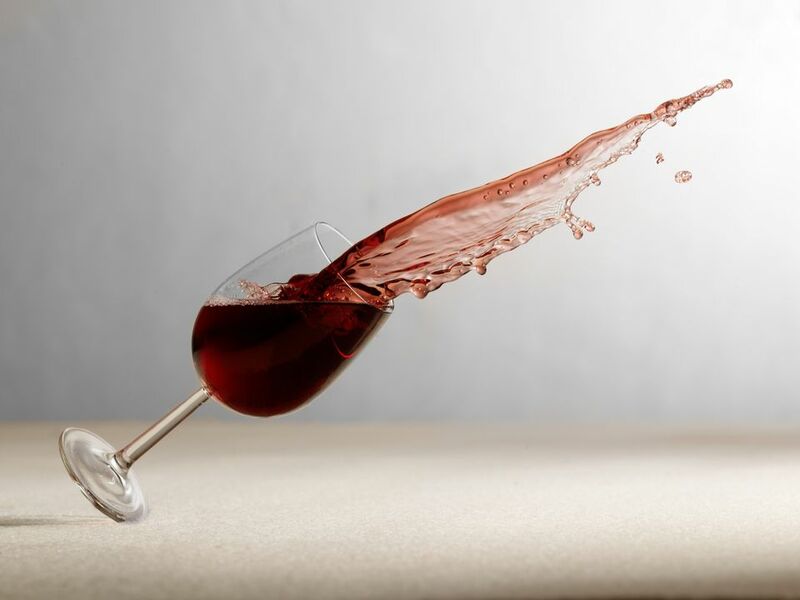 If it's dry, or nearly dry, dab the blood stain gently with very cold water on a white washcloth. Hold the cloth on the spot and see if blood breaks down and comes out. If that doesn't work, see if there is a first aid kit nearby with hydrogen peroxide, and dilute it (one part to nine parts water). Careful, hydrogen peroxide can bleach fabrics. Use the diluted solution to dab at the stain gently. When it starts to break down, you must go back to plain cold water. Use chalk or talcum powder to disguise anything that doesn't come out. Immediately take it to a high-quality dry cleaner. If you can't afford to take it to the cleaners, you can try one of the methods above, but it is highly recommended that you try to scrape together the cash and let the professionals handle it.